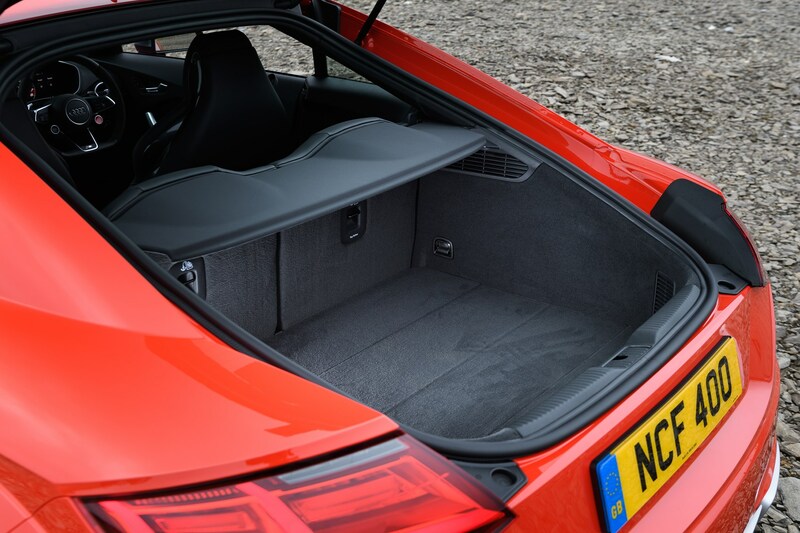 Good news - not all sports cars have been bitten by the downsizing bug. 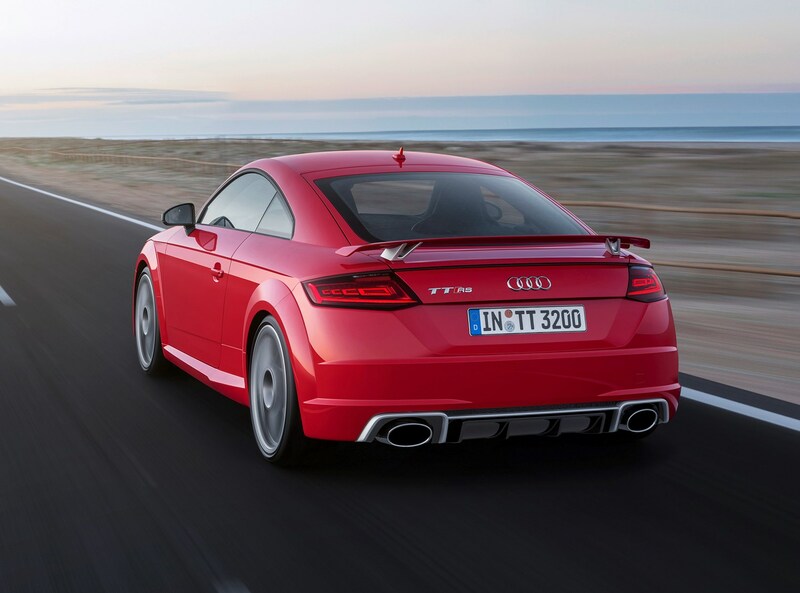 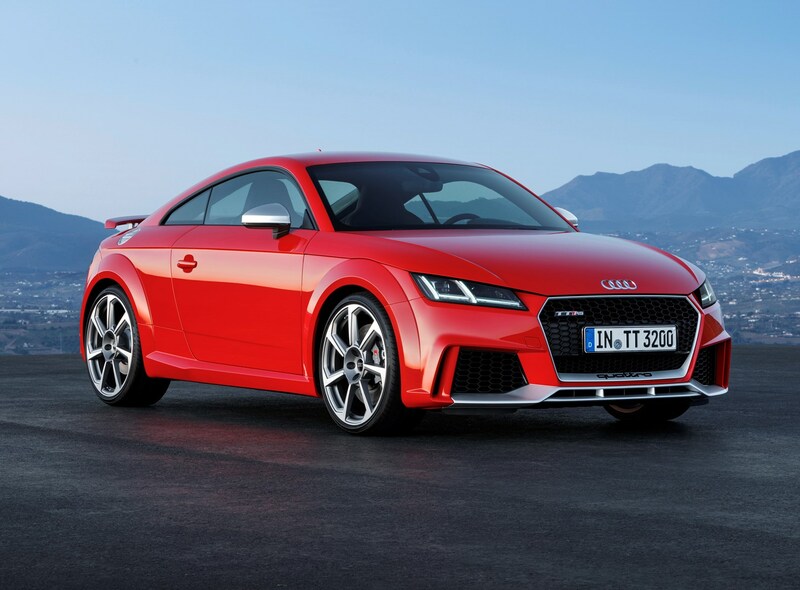 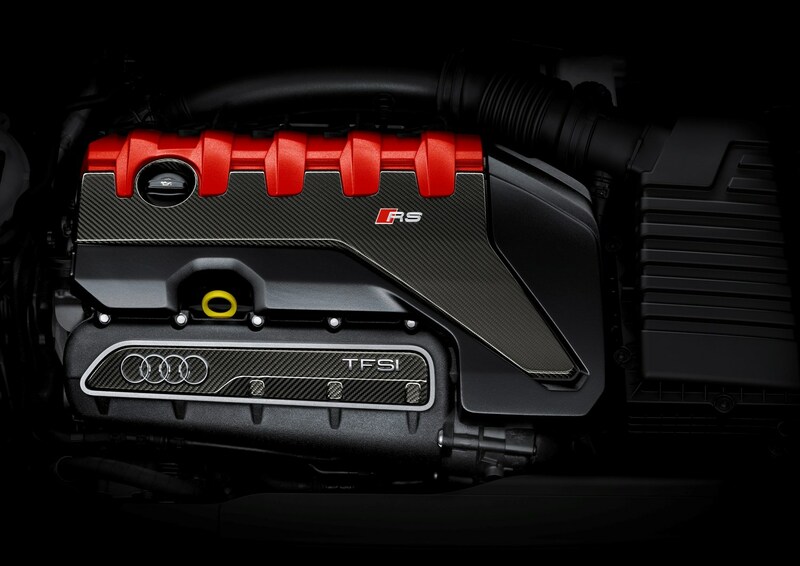 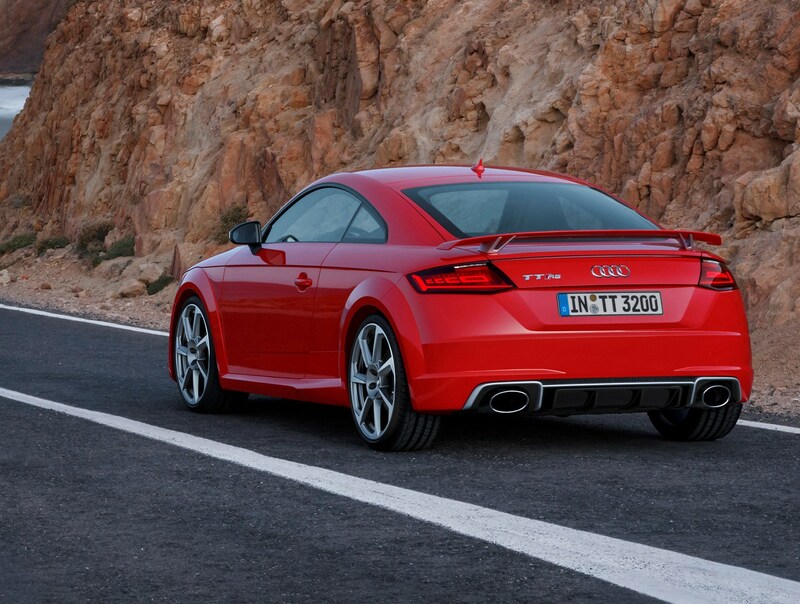 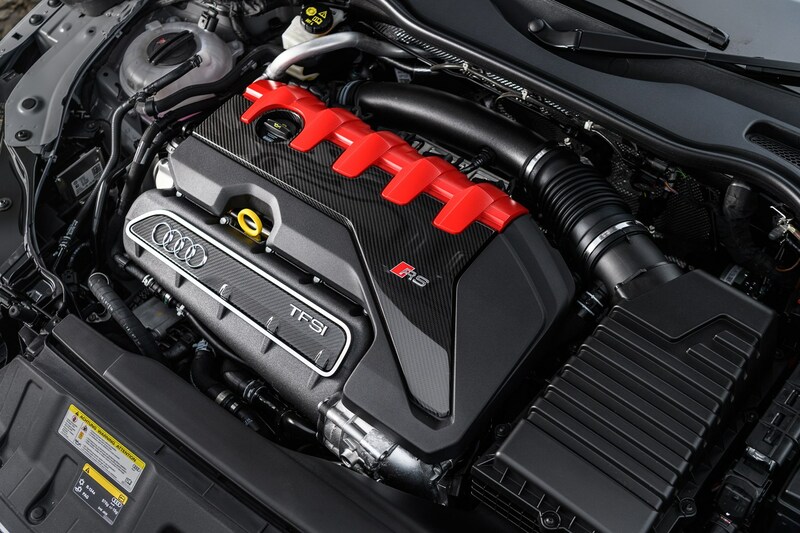 The new Audi TT RS features the same 2.5-litre turbocharged engine as the last version. 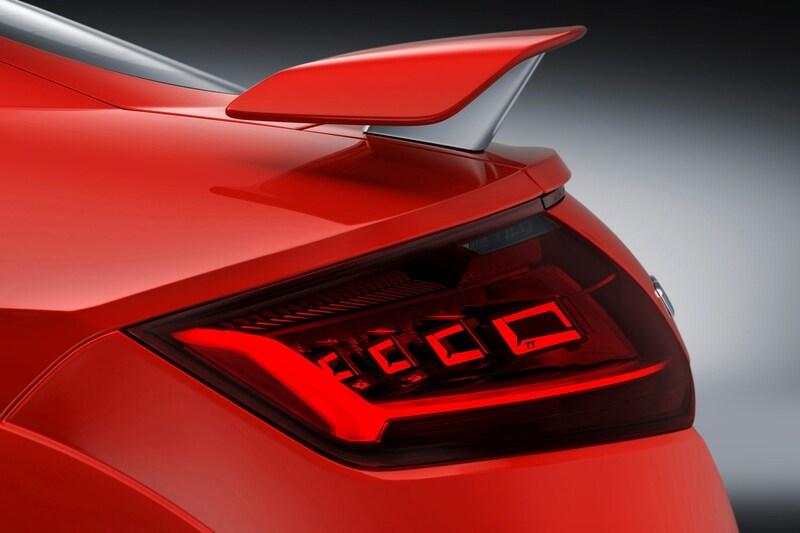 Well, it’s not exactly the same. 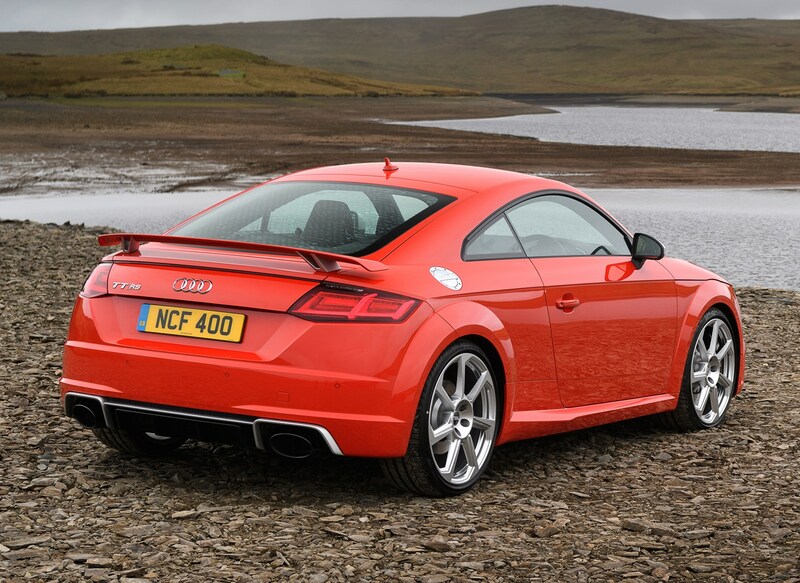 It’s got five cylinders again but features a lightweight aluminium construction rather than the old car’s cast iron. 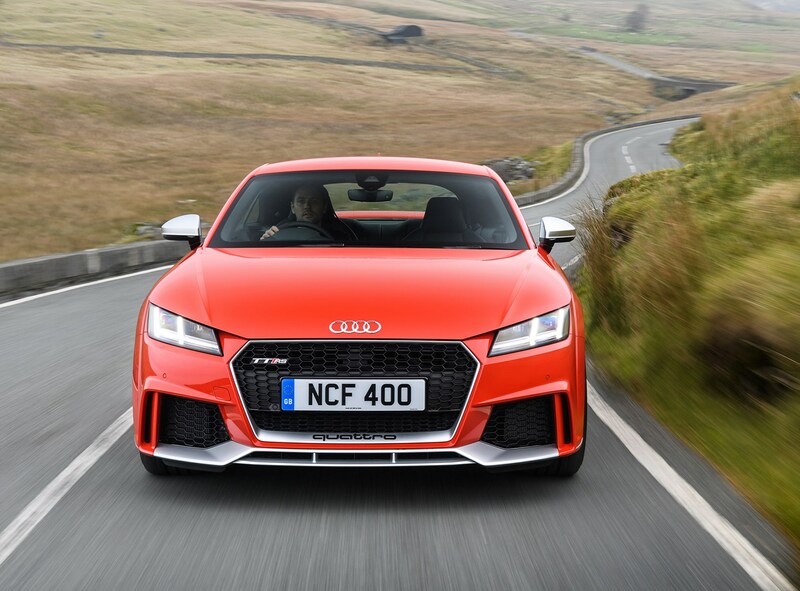 There’s more power too – 59bhp of it – and a 0-62mph time just a couple of tenths behind the firm’s R8 supercar and faster than its main rivals the Porsche Cayman, Lotus Evora S and Jaguar F-Type. 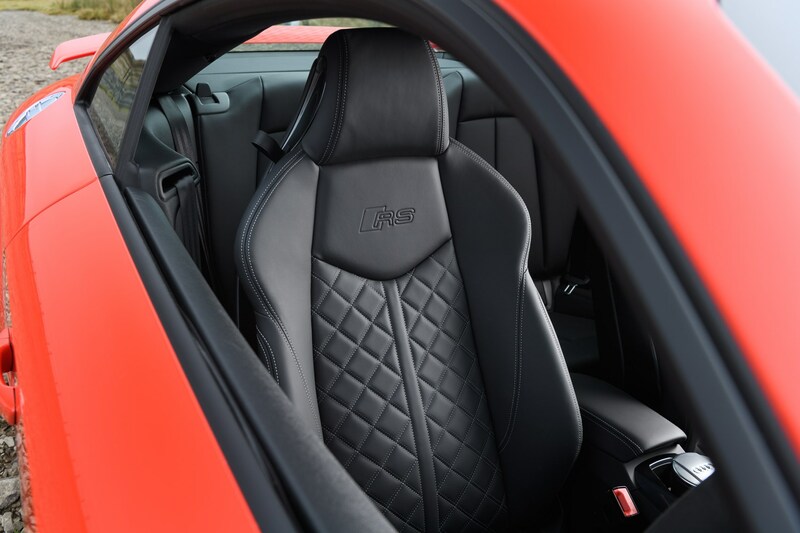 This is no slightly warmed up special edition. 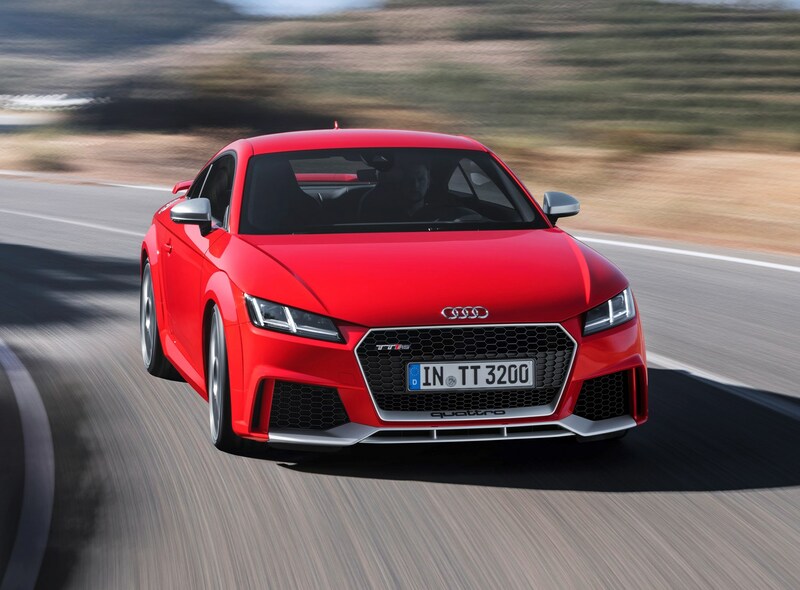 With 395bhp the new TT RS completes the benchmark sprint in a seriously rapid 3.7 seconds. 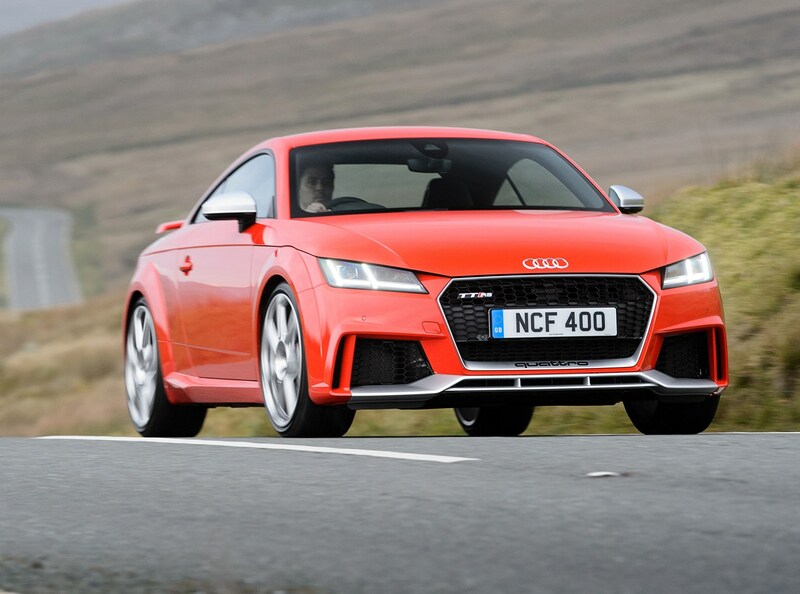 It’s punchy too with 480Nm of torque available across a wide spread of the rev range, from 1,700rpm up to a towering 5,850rpm. 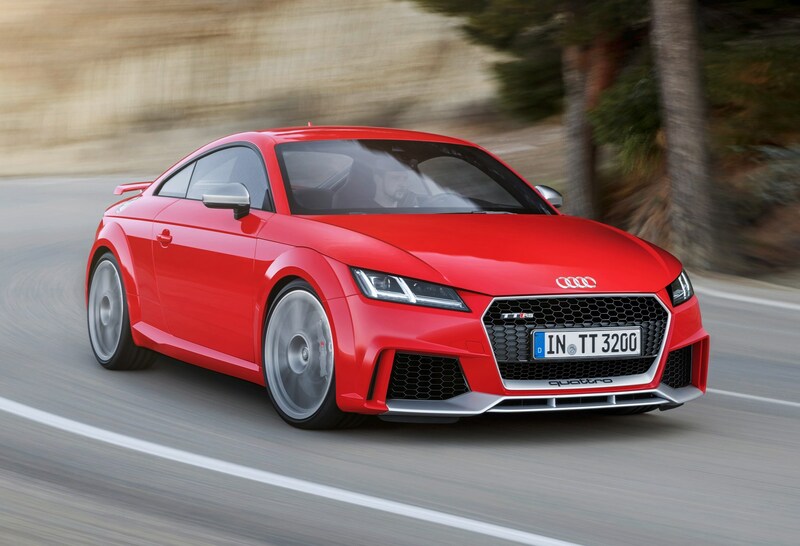 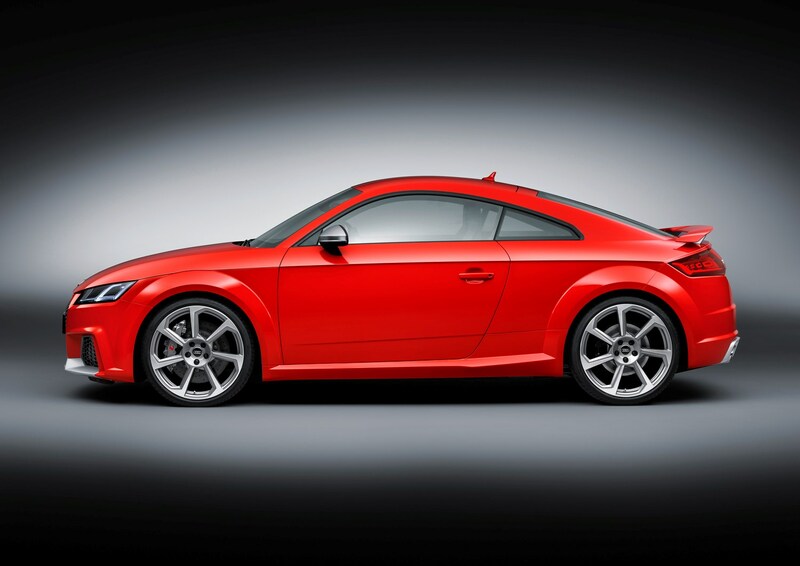 Top speed is limited to 155mph but unrestricted the TT RS is capable of hitting 174mph. 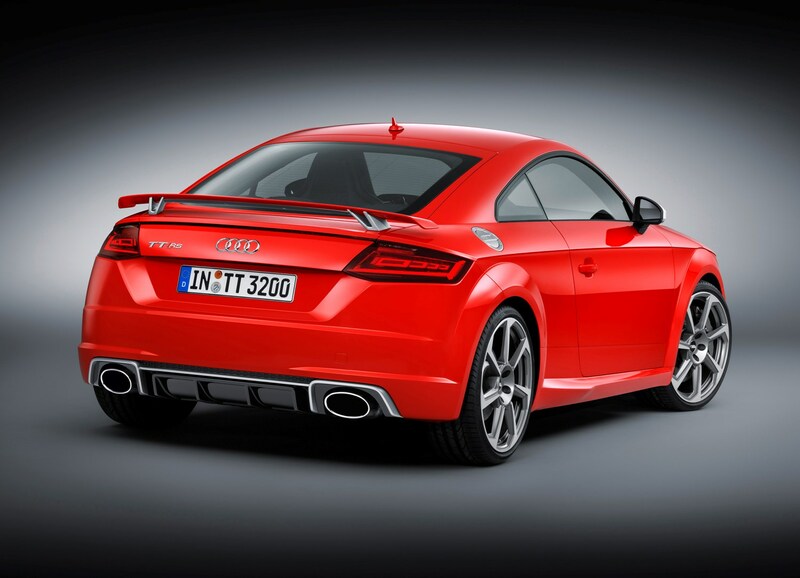 It sounds great too, with an off-beat rhythm thanks to that unusual five-cylinder configuration. 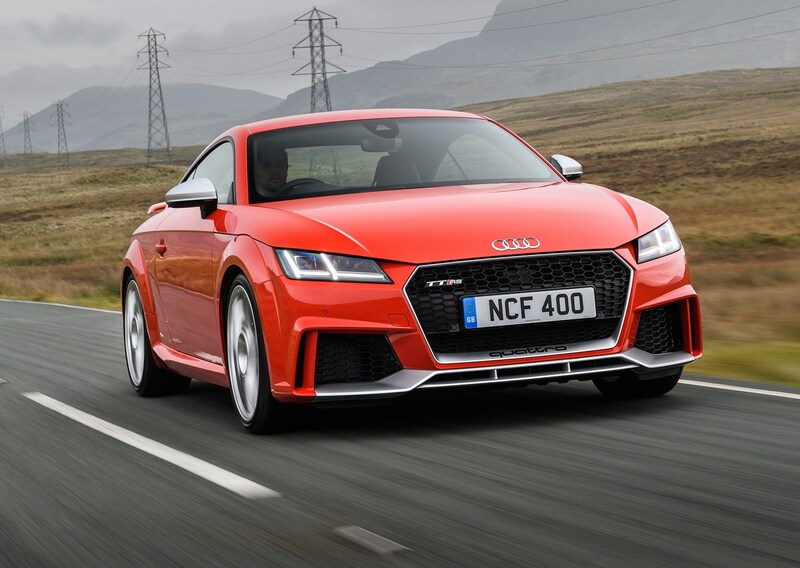 The UK is the biggest market for the TT and thanks to the firm’s rain and snow-defying all-wheel drive as standard in the RS, it’s a proper all-year-round proposition. 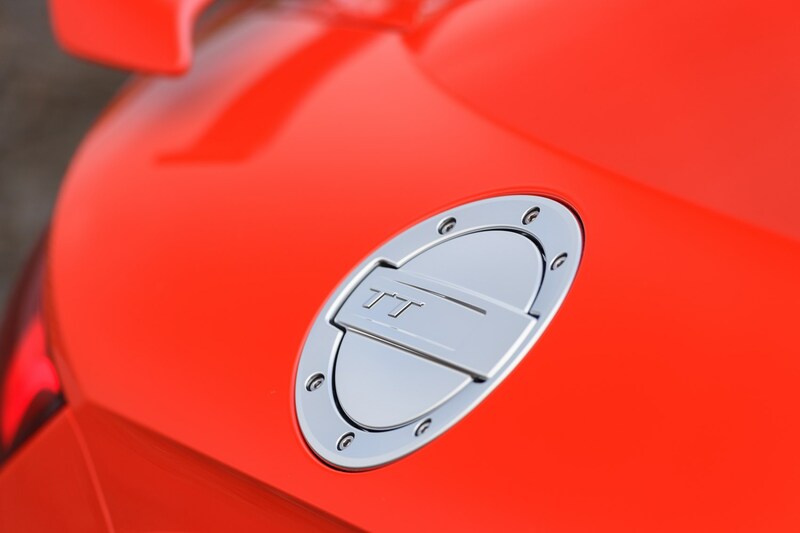 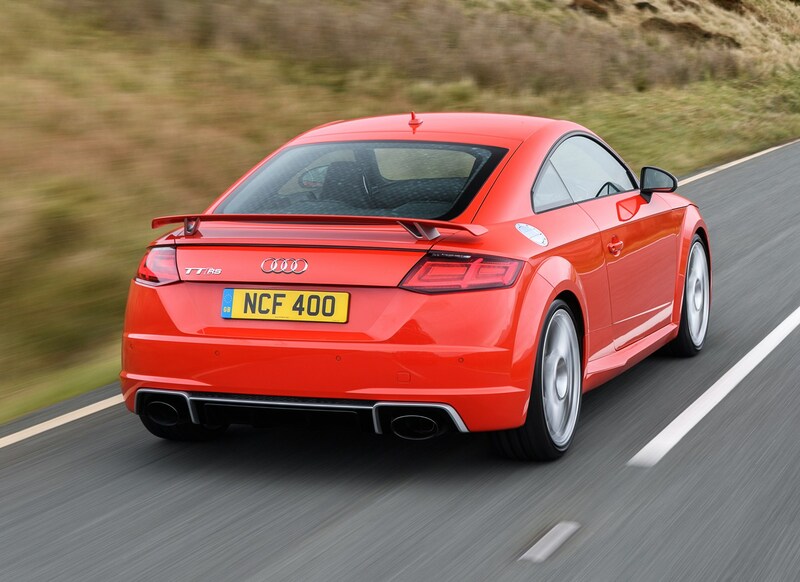 This time around there’s no mistaking the TT’s credentials – thanks to the bold Quattro badging on the front valance. 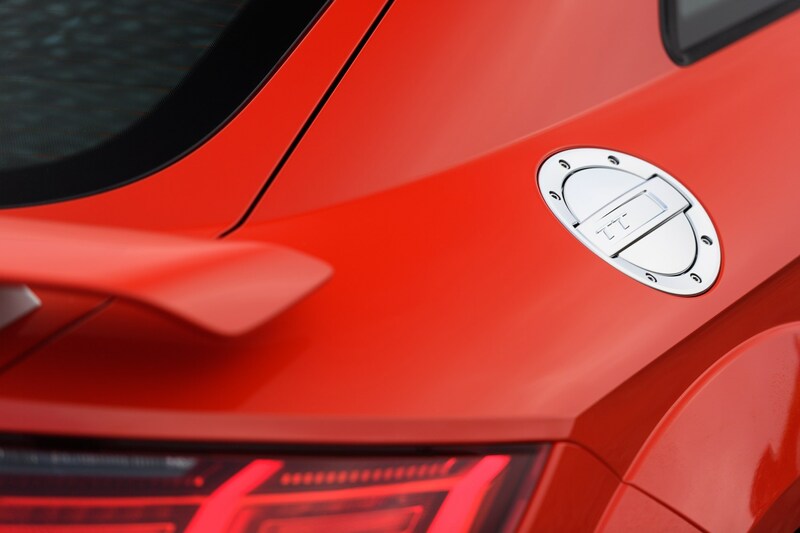 Many of the settings can be tailored by the Drive Select System, along with the steering, automatic gearbox, engine characteristic and exhaust note. 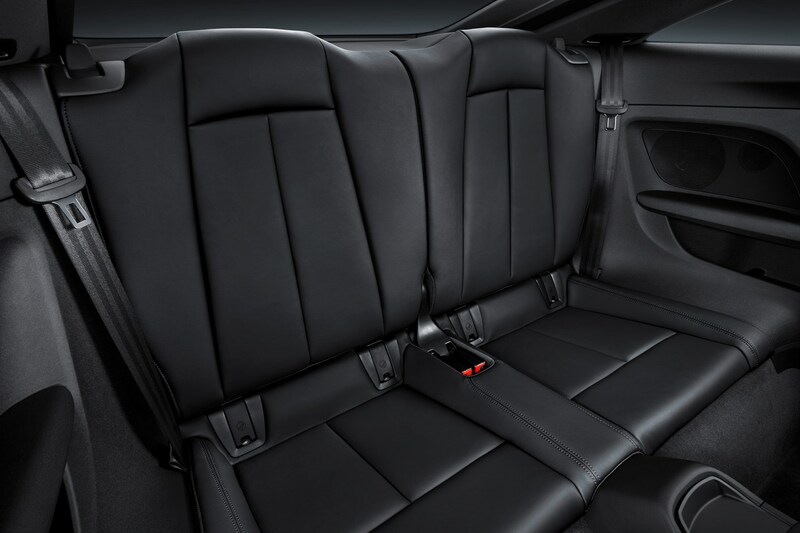 There are four modes available - Comfort, Auto, Dynamic, and Individual. 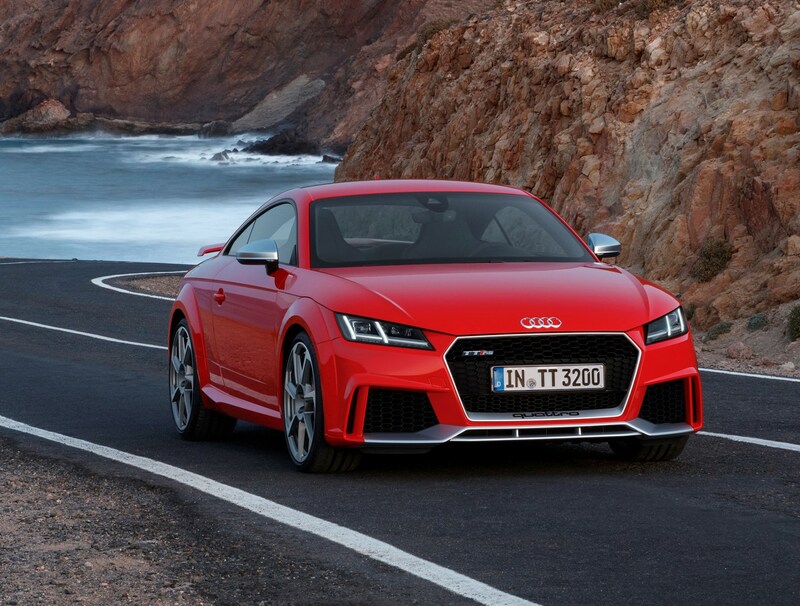 The body is 10mm lower than standard and it is seven-speed dual-clutch automatic only, with short lower gears for fast acceleration and a long top gear to reduce consumption. 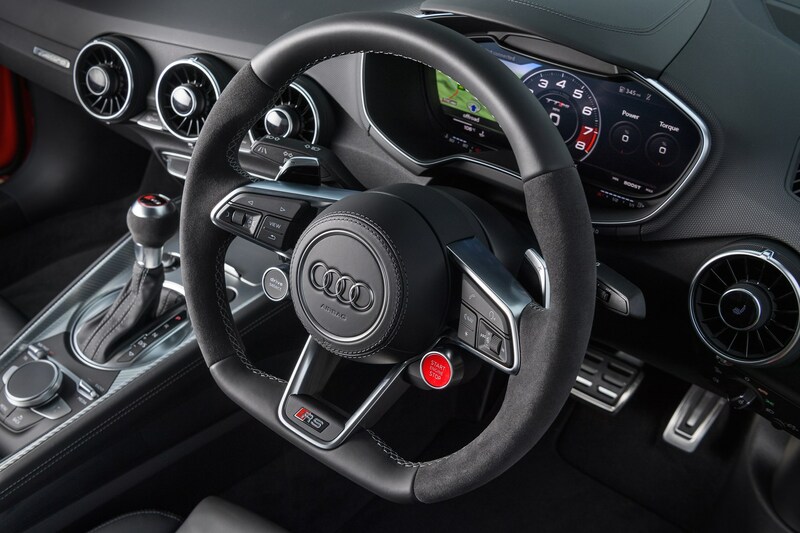 Shift paddles behind the steering wheel are standard and there’s a launch control system too. 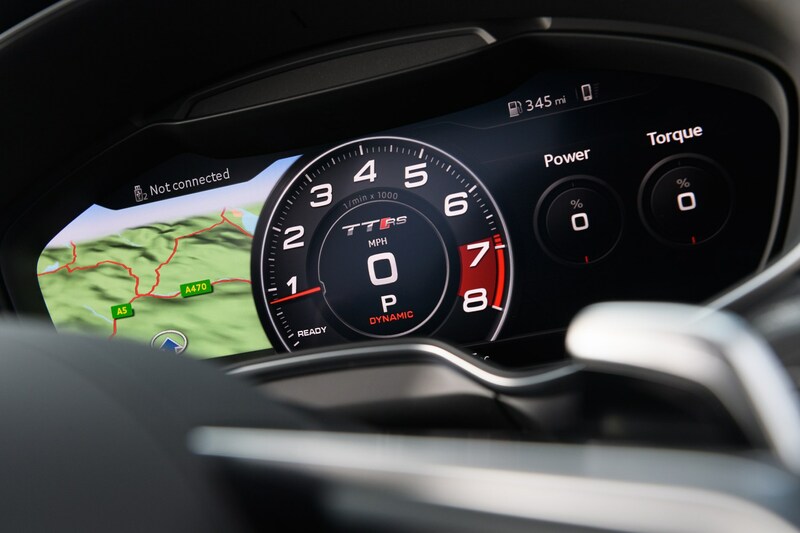 Inside you’ll sit behind a sports steering wheel with satellite buttons for starting the engine and adjusting the driving dynamics, like you get in an Audi R8. 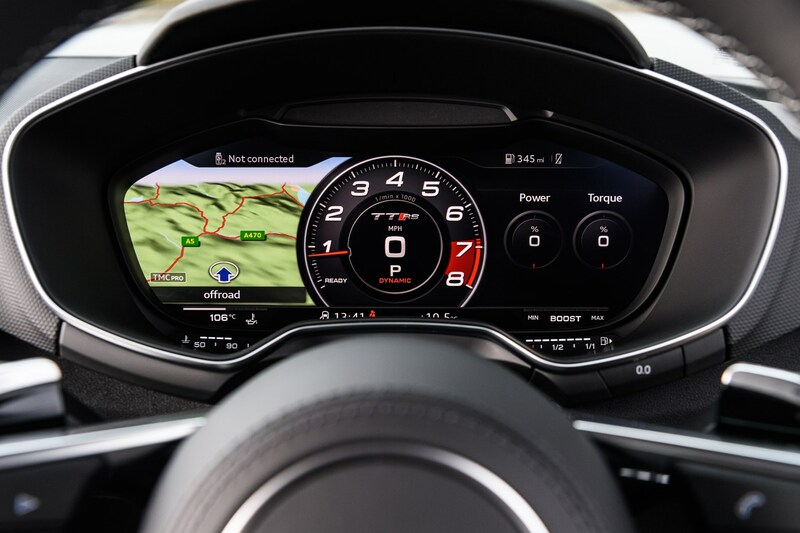 The 12.3-inch Virtual Cockpit gets an RS-specific skin with a highlighted rev counter and information on tyre pressure, torque and g‑force, plus a shift light when using the manual paddles. 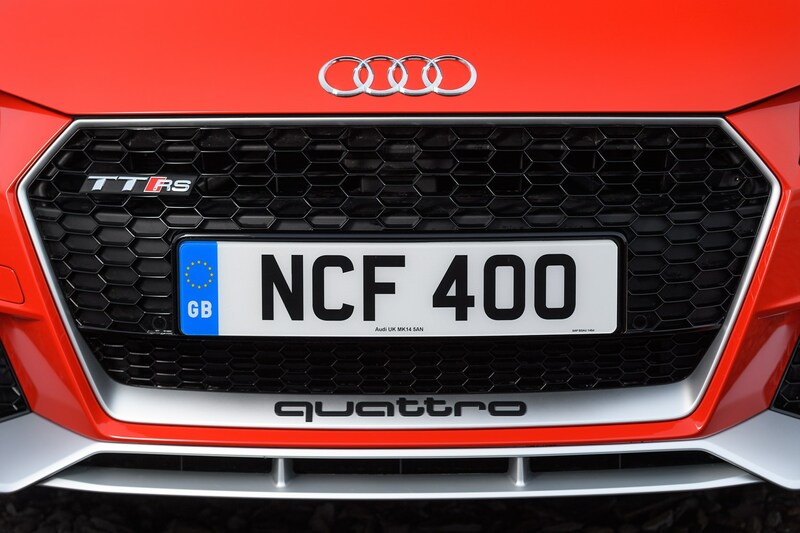 Outside there are blistered wheelarches and a fixed wing, which can be removed if you’d prefer a wolf-in-sheep’s clothing look. 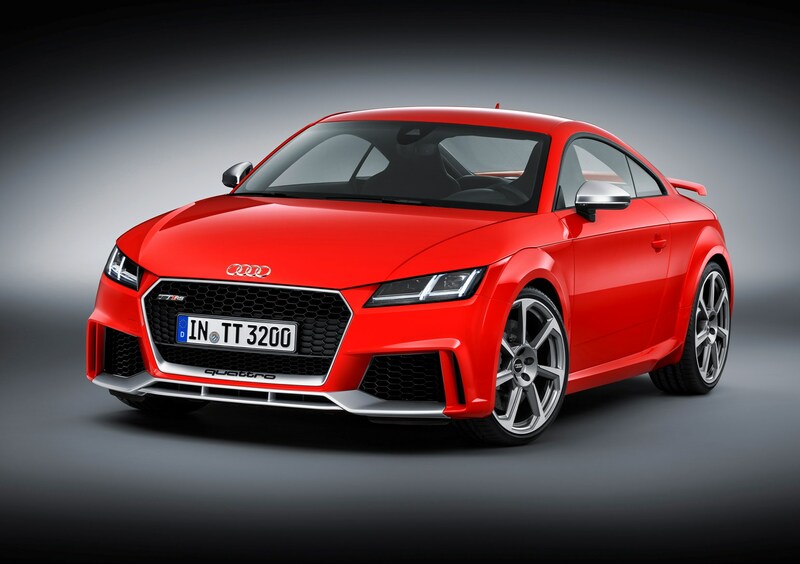 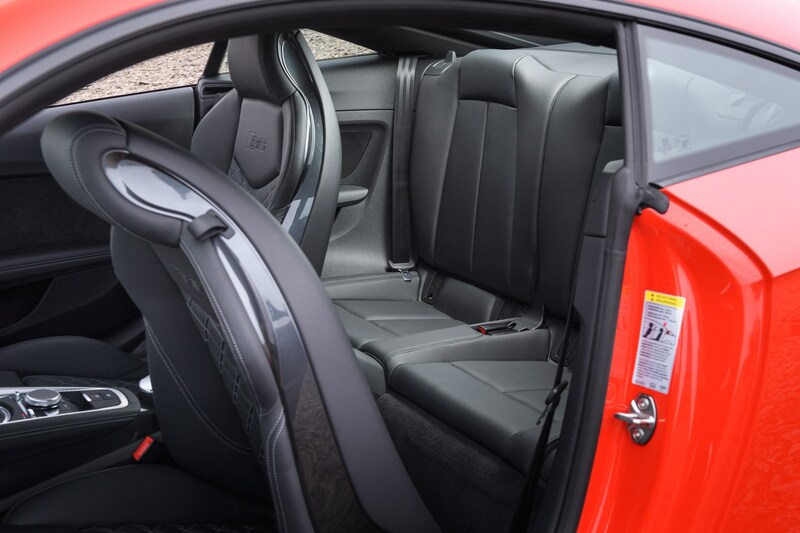 To make your TT RS stand out though there’s a choice of 19- and 20-inch alloy wheel designs and optional aluminium accents for the front and rear bumpers. 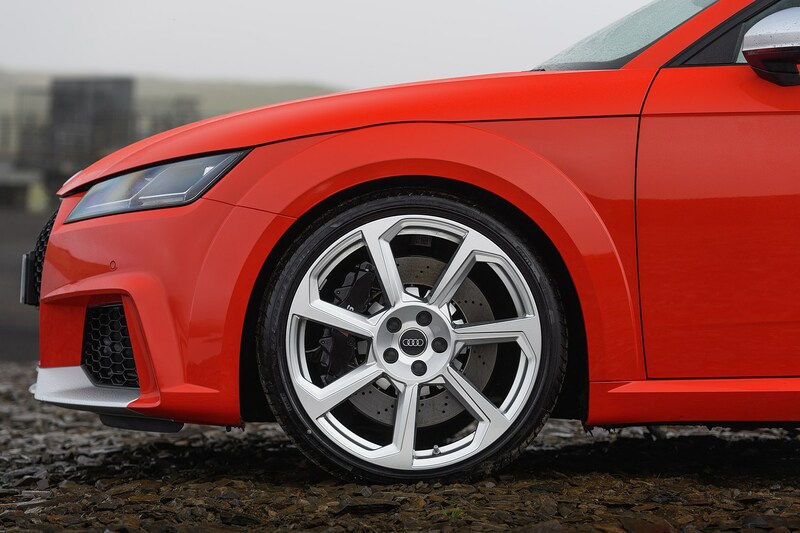 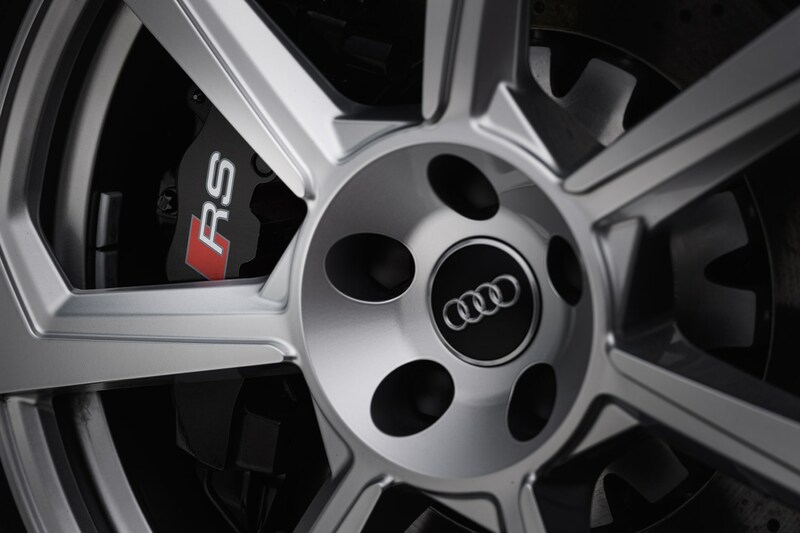 Paint colours include RS-specific Nardo grey and Catalunya red, plus you can pick ceramic front brakes with grey callipers to replace the standard black. 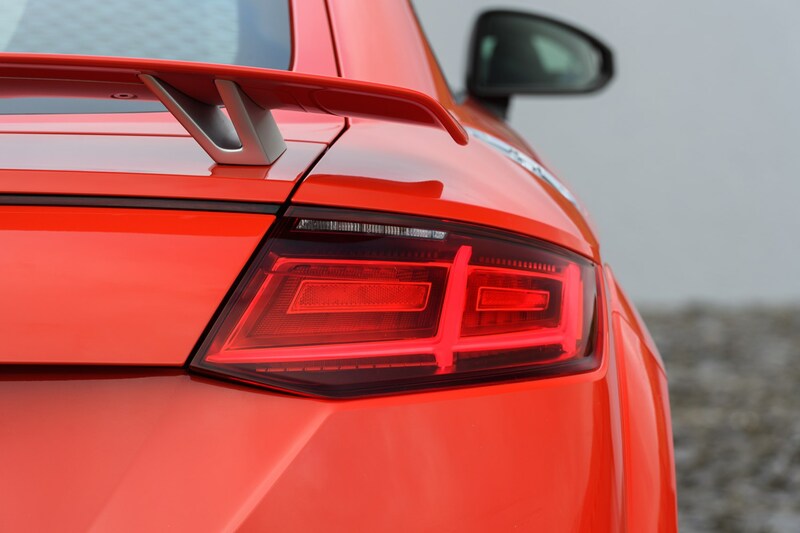 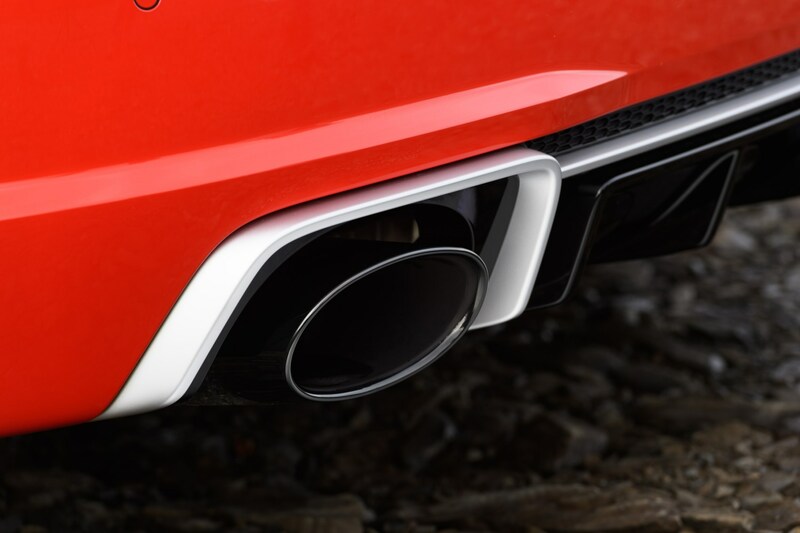 A sports exhaust with black tailpipes also adds a volume-enhancing button on the dash, and last but not least are a set of super-sharp OLED tail lights. 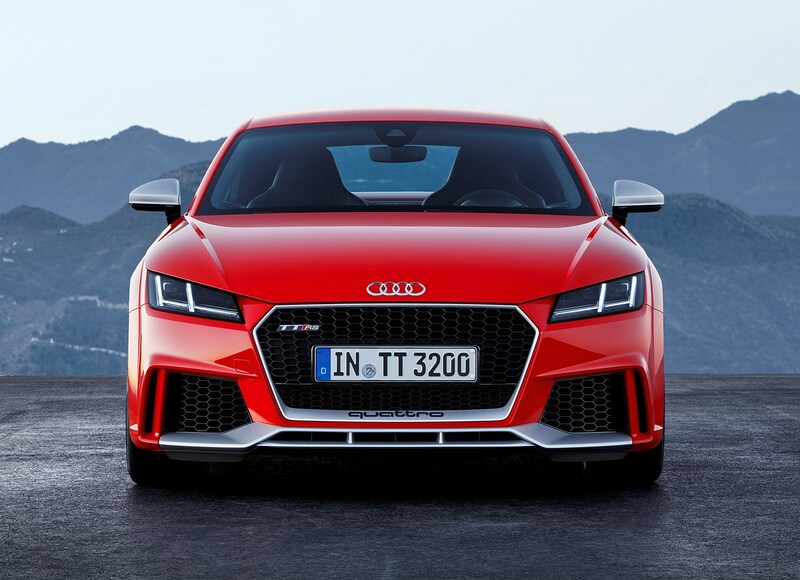 These contain four reflector-less, wafer-thin rectangular units, increasing in size with the largest featuring a TT logo and Audi rings. 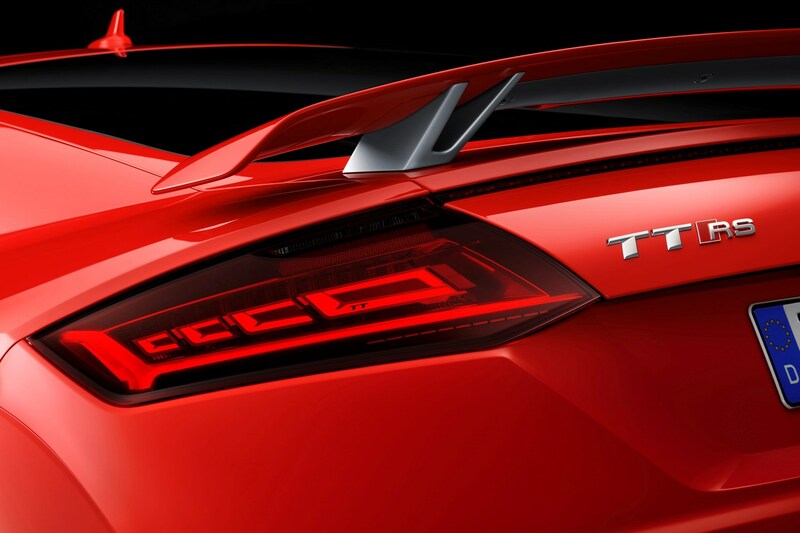 The order book opens soon and deliveries are expected in September 2016. 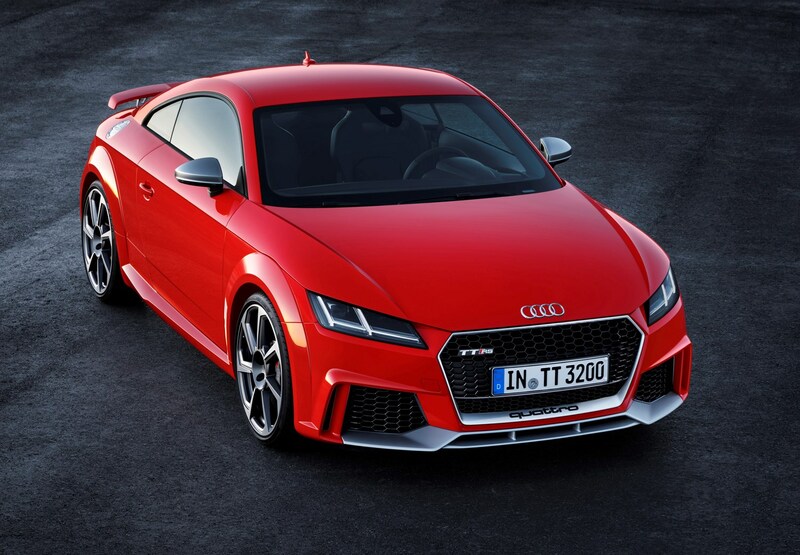 The numbers behind this machine blur the lines between feisty sports cars and outright supercars; this car has an outstanding amount of speed considering its roots as a sensible coupe. 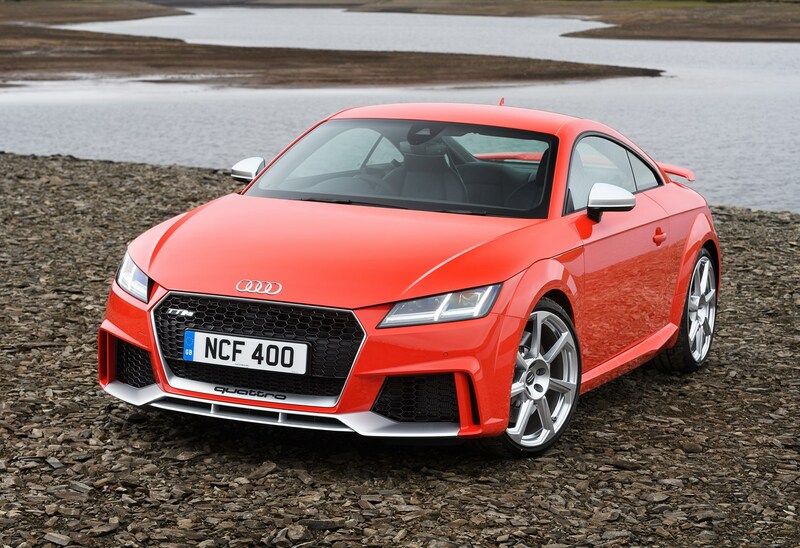 It looks fantastically aggressive on the outside and feels like a supercar on the inside, the cues it takes from the R8 are inspired and give the TT RS a feeling of something very special. 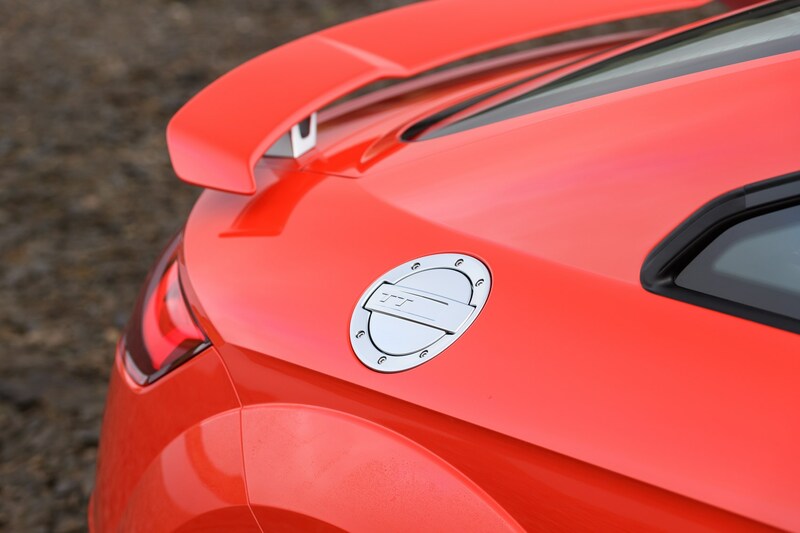 Rivals will need to do an awful lot to keep pace, although the lure of Porsche and its Cayman could prove too strong.